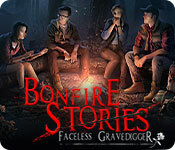 Bonfire Stories: Faceless Gravedigger is rated 4.5 out of 5 by 45. Rated 5 out of 5 by denniann2 from great game good game. teens/young adults sitting around a bonfire telling a ghost story. the faceless gravedigger is taking people to kill so he can save many. if he makes a mistake then it is no big deal to him. you are trying to get the woman out before he kills her. the end of the story is set up for a sequel!!! Rated 5 out of 5 by JulzCat from Gather Around The Fire, It's Time For Ghost Stories! This game was reminiscent of the old "Campfire Legends" games, but with customizable settings, teleporting maps and new stories. I saw a few people complaining about it being too short, but to me it felt like a pretty long game. Every time I thought I was going to be finished, there was a new twist on the game and it just kept going. Wait until you see the surprise ending! 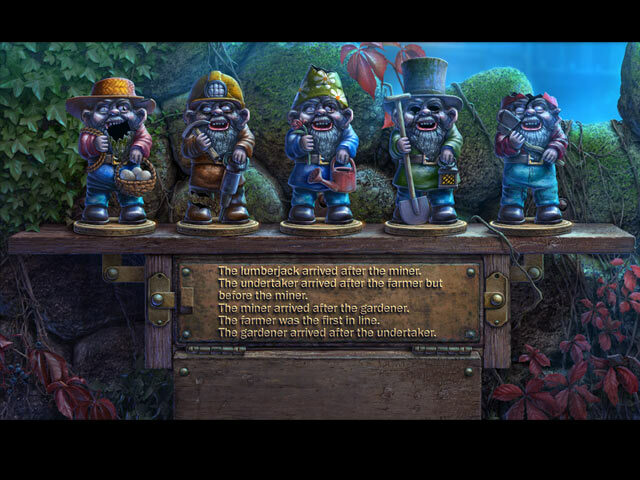 Rated 5 out of 5 by smurfs99 from A creepy story Beware the Faceless Gravedigger !!! I liked it very much. The story is interesting and the END shocked me a little. Give it a try. Review based on SE. Rated 5 out of 5 by ender07 from Faceless Gravedigger Played this one right through and wished I'd purchased the CE. Great graphics and storyline and the idea of a series makes me happy. Looking forward to the next episode. Rated 5 out of 5 by jewel_43 from Mariaglorum does it again! I absolutely loved this game and found it to be fairly long contrary to some other reviews. However I did not play it all in one sitting so that might account for the length of the game. The storyline was great and mini-games not too hard. Graphics and scenery were just right. The ambience and smoothly flowing story along with the lack of too many characters were just what I like in a game. 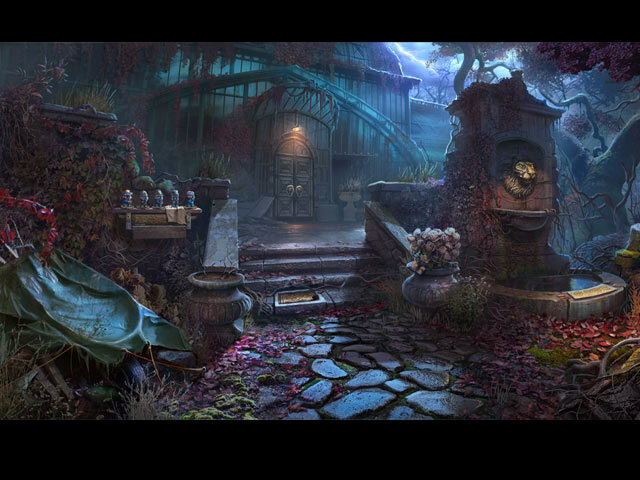 The game does leave itself open for a sequel but If this is only the start of a new series from Mariaglorum (whose other games I have enjoyed also) then I can't wait for the rest! Rated 5 out of 5 by ninja226 from why isn't there a sequel to this game? A surprisingly good game from start to finish. 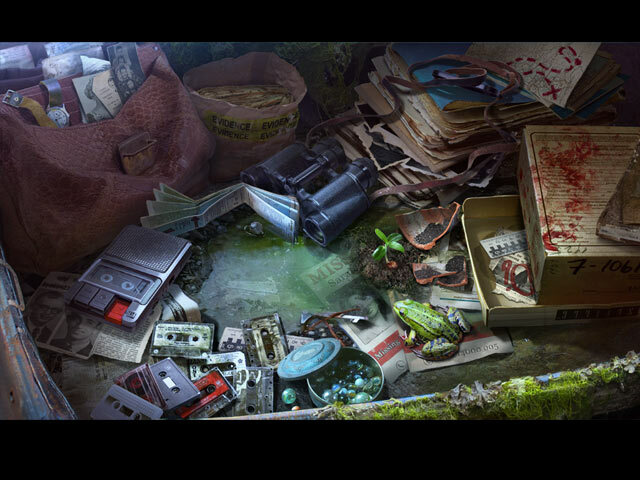 It grabbed my attention from the get go and maintains the suspense for much of the game. The story is excellent. The puzzles and HOPs have just the right amount of challenge. I'm surprised there isn't a sequel to this game, as the ending left open the possibility of the return of the faceless grave digger. Although the game title sounds creepy, it's not gruesome or bloody, but most of the scenery is dark. Rated 5 out of 5 by katnap123 from I really enjoyed this game... It was suspenseful, with good graphics and a good story. The mini-games were different and fun, with lots of logic type puzzles, which were right up my alley. My intent was to try the demo first to maybe purchase the game, and if I liked it, to play later in the week. I ended up buying the game as soon as the demo ended, and I played several hours, until it was finished. I recommend this game, and I'll definitely be playing it again. If the devs make a sequel, I'm on it! Rated 5 out of 5 by pooj1994 from Loved this! The story was so well told! I genuinely had fun playing it. The best part was the lack of those annoyingly intricate HOS games, everything about this game was logical. Rated 5 out of 5 by grunny50 from Hits it out of the park! This game had it all for me: great HO's, puzzles, good sound quality and artwork, and a storyline that actually made sense! I loved it. Great game to play after the holiday, and I hope to find another Bonfire Stories of the same quality. Rated 5 out of 5 by pamturnerwelch from Sense of urgency I play Big Fish games mostly all day everyday. And I am always aware that I am playing a game. So when the game encourages me to hurry because I am running out of time, I mostly ignore it and search the area thoroughly, knowing...its just a game, right? This is the first game that has given me a sense of urgency. Instead of methodically inspecting the area, I am worried that the girl I have to rescue is in trouble, so I rush around (really....rush!) trying to figure out how to save her, opting to come back later to inspect the area. And when the old guy gives me instructions to hurry, I rush right off without inspecting the area at all. I have not finished the game yet, and it doesn't matter because this is SOoooo much fun. I love how the game tricks me into forgetting its a game. Tricks me into forgetting there is no time limit. Tricks me into following the game directions instead of doing my usual methodical game play. Hope this is helpful to others out there who might be bored with the similarity of games. This, at least for me, is different, and I can't wait for the next one!